• Arterial visualization using the gamma camera was achieved by peripheral intravenous injection of technetium pertechnetate Tc 99m 253 times in 200 patients. This technique, which successfully images the arterial tree to the level of the wrist and ankle, was validated by blind comparison of the scintiangiograms with contrast arteriograms or surgical findings or both in 93 studies. Although scintiangiography has less resolution than contrast arteriography, it provides quantitative and other important supplementary information in the diagnosis and management of patients with arterial disease. Scintiangiography has accurately diagnosed arterial occlusions (atherosclerotic, traumatic, and embolic), true and false aneurysms, and arterial stenoses. 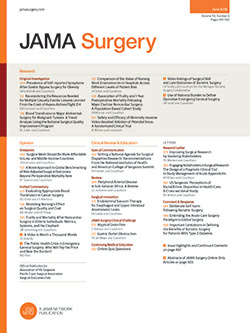 Patients sustaining trauma to the extremities may be evaluated by scintiangiography as a screening technique. Postoperatively, scintiangiography has replaced contrast arteriography for assessing patency of grafts and completeness of thromboembolectomy and for the long-term follow-up of these patients.